This post by Sean, appeared first on seo-hacker. Writing is one of the things I love doing in life. I discovered this just shortly after I discovered how much I love singing. When I was a kid, I’d write out stories and short-novels of superheroes and fantasies I’ve always dreamed of being in. Some people say writing is a gift, some say writing is a skill. How different can SEO Copywriting be? This lesson is part of the SEO Copywriting Course from SEO School where you can learn SEO that Works. Some people accredit SEO copywriting to writing for search engines. I disagree. SEO copywriting is all about writing powerfully for people – to the point that you’re even considering what they are searching for. You see, focusing on the art of writing alone could mean a great article with savvy words and beautifully constructed sentences put together. But it can also mean that you can easily leave out the most powerful way for your article to be found by its target audience. SEO Copywriting infuses your article with the will to track down its audience. How do you do it? That’s a great question. Target the keywords that your audience is searching for. Write it out. Write that powerful, useful, engaging content. Optimize your content to the best of your ability for search engine friendliness. This shows me what I need in a quick glance. The questions I’m asking myself is: Is my search traffic on the level that I want it to be? Since I am an SEO website, and SEO is basically my forte in generating traffic, my search traffic should always have the biggest chunk of the pie. If you’re doing SEO Copywriting right, that means that you’re probably ranking for a keyword with your desired amount of monthly searches. Check to see if someone really has used that search term and landed in your website. Then apply a Secondary Dimension -> Landing Page to the results. Exclude all keywords (not provided) to clean out the results from those nasty, useless (not provided) terms. This will leave you with the landing pages people got on inside your website as well as the keywords they used. 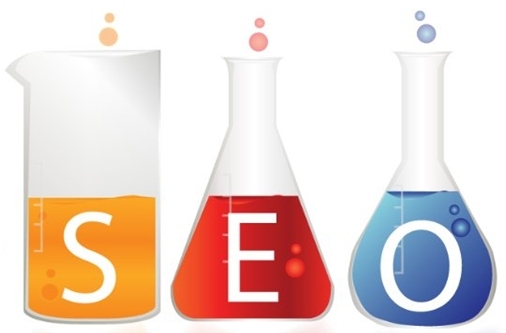 Analytics is a powerful science behind SEO Copywriting. After checking out if your article is ranking for your target keywords, make sure to check if your keywords are really working to attract your target audience. Then move on to write other great articles and repeat the process. Tips for Keeps: Just remember the guidelines in SEO Copywriting and keep on repeating them for each and every article. That’s what I’m doing. You should do it too!